The Premodern Diplomats Network, founded two years ago, will hold its fourth conference on the 25th and 26th of September in our institute. At the event Splendid Encounters: Diplomats and Diplomacy in the Early Modern World researchers from a variety of European countries come together to discuss their experiences in the study of the history of diplomacy between the sixteenth and eighteenth centuries. The conference programme is available here. The Tetmajer Committee of Indiana University invites applications for translation into English of Hungarian language books and manuscripts on the topic of 20th century Hungarian history. Works starting chronologically at the late 19th century are acceptable. The translators are designated by the Tetmajer Committee. The deadline for submission for books to be translated during 2016 is October 30 2015. The manuscript shall not exceed 120 000 words. Up to two books or manuscripts will be selected for 2016. The second issue of World History (Világtörténet) for 2015 is a thematic issue dedicated to the topic of „The Great War” edited by László Szarka has been published. The centenary of the Great War gave birth to many comprehensive monographs, profound debates on explanations and both thematically and methodologically innovative approaches first of all with emphasis upon transnational aspects. As a result, in the international historiography of the Great War the complex evaluation of this over important event became an absolute imperative. 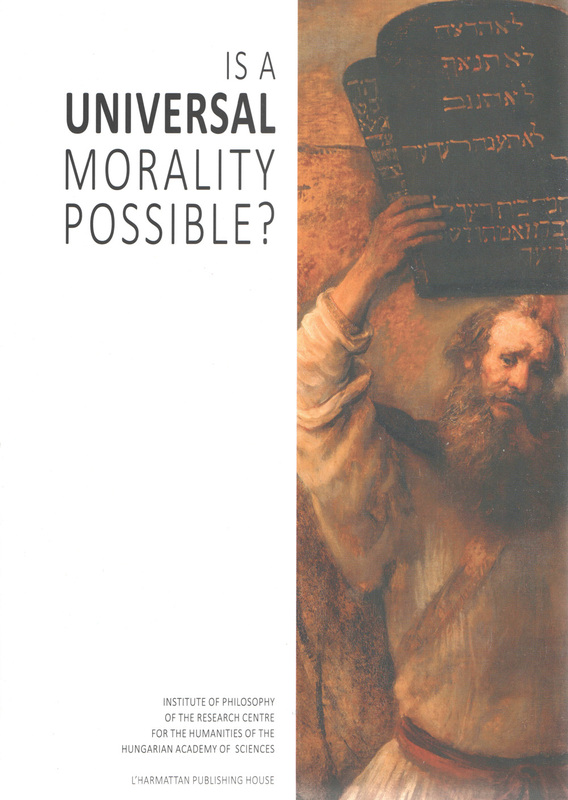 A new collected volume of the Institute of Philosophy of the Research Centre for the Humanities of the Hungarian Academy of Sciences is out, with the title: Is a Universal Morality Possible? The new publication is edited by Ferenc Hörcher, Béla Mester and Zoltán Turgonyi, authored mainly by philosophers and theologians, an published by the Institute together with L’Harmattan Publishing House. 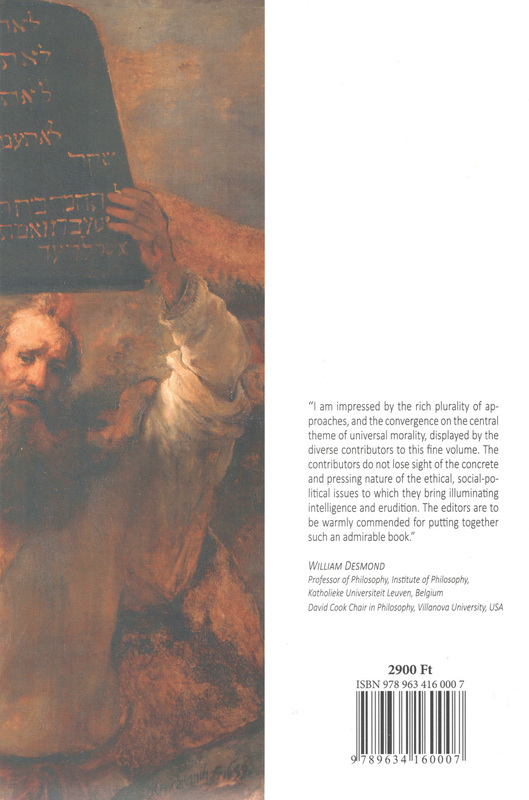 Please find enclosed the Table of Contents, the short introduction of it and the endorsement of the book by William Desmond, professor of the Katholieke Universiteit, Leuven, Belgium and David Cook Chair in Philosophy, Villanova University, USA.